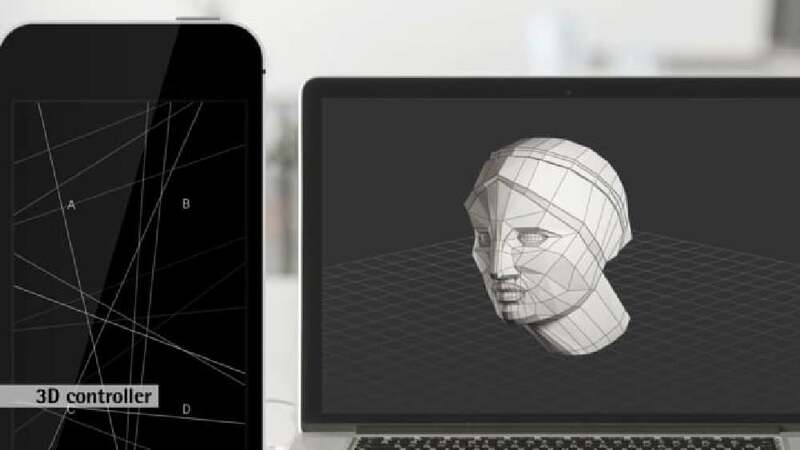 Based on the 3D modelling software 3ds Max, FreeDee is a controller offering an innovative approach towards handling three-dimensional objects on a smartphone. Its design takes advantage of the gyroscope sensor that is integrated into every modern smartphone. Thanks to this technology, the orientation of the 3D object seamlessly aligns to the orientation of the smartphone along all three axes. An extraordinary experience is provided by the fact that, instead of using buttons, users can control the device through the natural gestures of the hand. FreeDee impresses by lending the movements of 3D objects a fluid, more direct appeal. Featuring a self-explanatory and intuitive interaction principle, it allows users to feel as if they are holding the 3D object to be designed right in their hands. This impression is further intensified by the fact that FreeDee operates at 30 frames per second, just like modern movies. What is exciting about this controller is the consistent concept of technological advancement. FreeDee works like a second controller that allows users to navigate playfully through the three-­dimensional interface. By doing so, it offers more freedom. With its well-implemented design, it embodies a path-breaking solution in making smartphones assist users in their ­creativity.